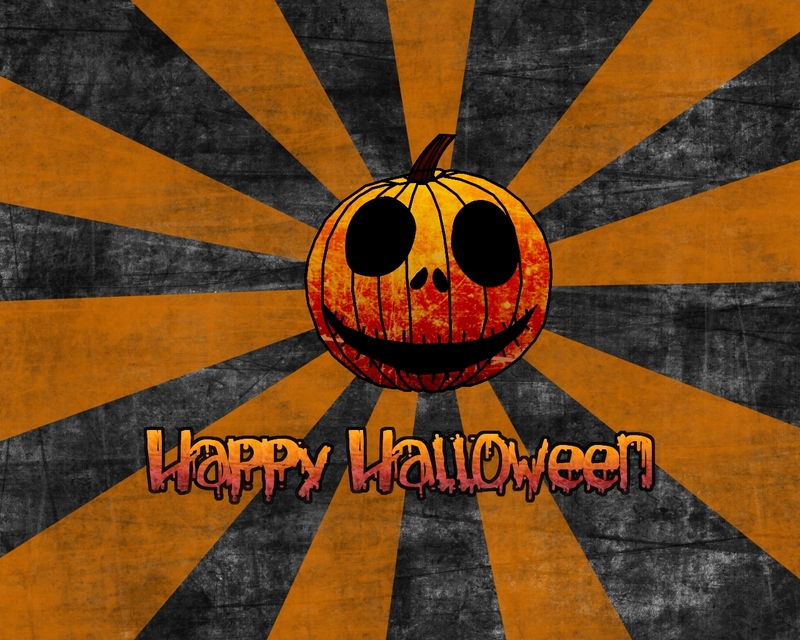 It is rainy outside but is supposed to clear up later for trick-or-treaters. Just as well, I'm in a pretty scary mood after my day at work. I'd be fine with skipping it altogether but then we'll have all this candy in the house. 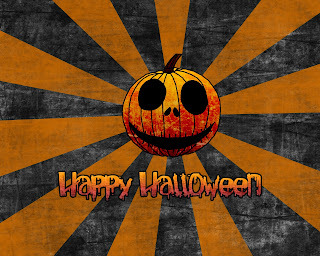 I hope everyone has fun this evening. I'll be putting a smile on my face when I answer the door but inside I am deeply troubled. That's my Halloween scare. The Badgers have another bye this week and if you're missing them play this may help. Probably not, but I thought it was a neat video about our hometown teams and city. We got the first few flakes of snow this afternoon. Nothing significant at all, just enough to remind us what snow looks like. Look hard at the pic and you can see a few streaks of snow. Our weather seems to have jumped ahead a couple weeks. Daytime temperatures are a bit above freezing as it is mostly overcast and nighttime temperatures are just below. I've seen a bit of frost in the mornings but not much. I haven't had to warm up the car yet or even scrape windows, but that may change any day now. There are still a few outdoor projects I had hoped to do before it got to this point. Oh well, hopefully we will have a couple relatively warm days and nights or else they will have to wait for spring. It was officially autumn a few weeks ago, but now the weather seems to have caught up. Temperatures are a more seasonable 50's or 60's during the day and can be into the 30's at night. We have not had our first frost yet but it can't be that far off. Almost all these leaves on the lawn are from neighbor Dave's black walnut trees. Thankfully these leaves fall sooner than our silver maple tree's leaves. That way I can mulch most of these into the lawn and use the maple leaves that fall later for mulch in the flower beds. Even so, I usually rake back the leaves from about the tree on in this picture and let them mulch the hostas along the back fence. Black walnut leaves have to compost for at least two years before you should use them and they affect or kill a lot of plants so I try to keep them out of our flowerbeds whenever possible. Cool, wet and leafy. Yup. Fall is here and fall tasks are on my mind. Happy - ( . )( . ) - No Bra Day! 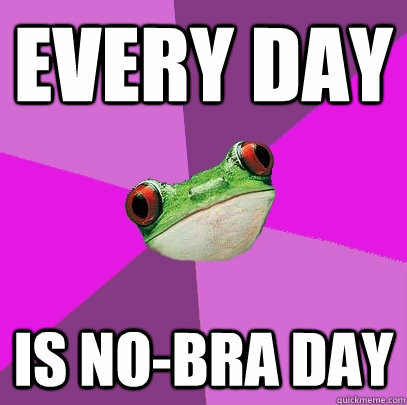 Today, October 13, is No Bra Day, but, wait a second, July 9 is National No Bra Day? I don't know about you, but I would have to agree with the frog! 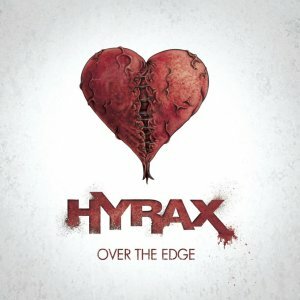 Hyrax - Over The Edge, released today. Something caught me, I'm not sure what it was - the name, the description, maybe (not likely) the album cover. Anyway, it caught my interest long enough for me explore them a bit more via the interwebs and youtube. This is actually how I find most of the music I listen to these days. I look around at what's out there - and in this global internet there is a lot of music out there - and occasionally I find something that I find greatly appealing to my eclectic (read: odd, heavy-ish and sometimes unexplainable) tastes in music. Of course, 9 out of 10 of my inquiries range from music that I will never listen to again to good but forgettable stuff. Then there is the occasional hit, that rare kind of sound that seems to really grab you. You know that feeling, or at least I hope you do. I've listened to the Hyrax album at least a couple times a day all week now, and I really like what I hear. Hyrax's album, Over The Edge, is their first as far as I can tell. I believe there are two EP's that they released since 2011, but I can't find them in a cursory internet search. There also isn't much of this band on youtube, most of it can be found on their channel here. No wiki page yet, but I believe they are from Germany. And they're kids. They gotta be, look at them. Pick any two and they may not total my age. *Sigh. * Actually they remind me of when I found out about CKY, in fact I see quite a few similarities, except that when I found out about CKY they had a few albums for me to look back to and enjoy while this is, as far as I can tell, Hyrax's first full length release. This first video, Desire, is similar to the second, I Never Thought, in that he has the aggressive-but-not-quite-cookie-monster vocal. On the album, which is bookended by these songs, they actually come across with a good mix of this aggressiveness but also some harmonies that work well and set up the next aggressive verse - it all works very well. I also like how they chose to film their two official videos, below, both are single camera, one take shots. The first appears to be the first single, but I may like the second better. Honorable Mention after the break! ..., the head chef at our favorite local establishment, Brothers Three. It seems he had an unfortunate mishap on his scooter and broke his collarbone. His culinary skill and charismatic personality is missed, for another month or more as we understand it. Cheers, James! Get well soon! This is the sort of political ineptitude and misbehavior that is too common and inexplicably accepted these days. Whiny spoiled brats refusing to accept anything other than their own way. Hell, look at the crap we had to accept with W in charge. But no, some stubborn fools just seem to like conflict, creating it seems like a major part of the republican agenda. Why is this classless, embarrassing, unsportsmanlike and should-be-illegal behavior tolerated from those who are chosen to lead some of us? Peacocking, threatening, falsely flabbergasting, and out and out lying. They make me sick. I can't believe politics actually made me put finger to key, whiskey helped. Hmmmph! ...Idiots. *updated 10-3 - My hyperlinked pic disappeared due to a server switch at that great B&P site. Jonco will be back in full over there shortly.